Queen Victoria desired a love story to last a lifetime, a happily ever-after marriage with the one and only king of his heart, Prince Albert. But it wasn’t meant to be, for at the tender age of 41, 20 years after they exchanged vows and tied their two hearts into one, typhoid struck the better of him, gripping his existence to death, in haste, shattering the queen to pieces and leaving her wearing mourning gown until her own passing. That gloomy December day was the coldest and bitterest in Victoria’s life. No other death that befell her family was more painful than the unbearable grief that struck her upon Dear Bertie’s passing. Perhaps it was the pain of being alone, or worst, the sorrow of not letting go the ghost of the splendid past that was her married life, and bearing the loss of a partner that Queen Victoria clung on her daughters all the days of the rest of her life. 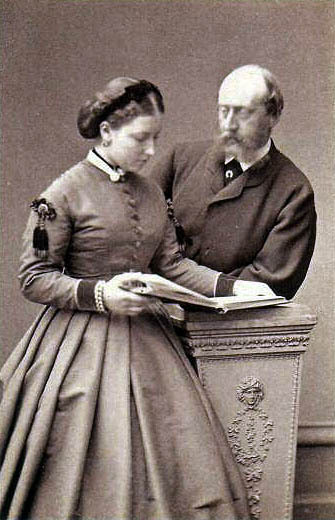 In 1866, when her third daughter Princess Helena, met the impoverished Prince Christian of Schleswig-Holstein, the chances of the princess marrying her were at odds. Foremost, his family revolted against Denmark in 1848 and Schleswig-Holstein became a Prussian property. The prospect of the marriage therefore was abhorred by the princess of Wales, whose father was the king of Denmark. She later exclaimed “The Duchies belong to Papa!” Likewise, Prince Christian was jobless and lacked any ambition. He is also a younger son, which limited his chances of inheriting his father’s title. Queen Victoria, for her part, still far from recovering after Prince Albert’s death, was not in a position to lose a daughter, more so a companion whom she had depended on for so long. But she saw the love that tied the couple. Eventually, the queen relented, on the condition that they should live in England and remain close to the court. The prince accepted. Having no future anywhere else, he was contented to settle his life with his bride-to-be. In 1865, the couple’s engagement was announced. They were married on July 5, 1866 at the Private Chapel, Windsor Castle. Unusual for the queen, she wore white mourning cap which draped her back instead of her heavy black mourning gown. Shortly after the wedding, the couple settled at Cumberland Lodge, the traditional residence of the Ranger of Windsor Great Park, an honorary position that the queen bestowed upon Christian. In 1867, their first child was born. They named him Christian Victor. Albert followed in 1869. Their two daughters followed: Helena Victoria, in 1870; and Marie Louise in 1872. 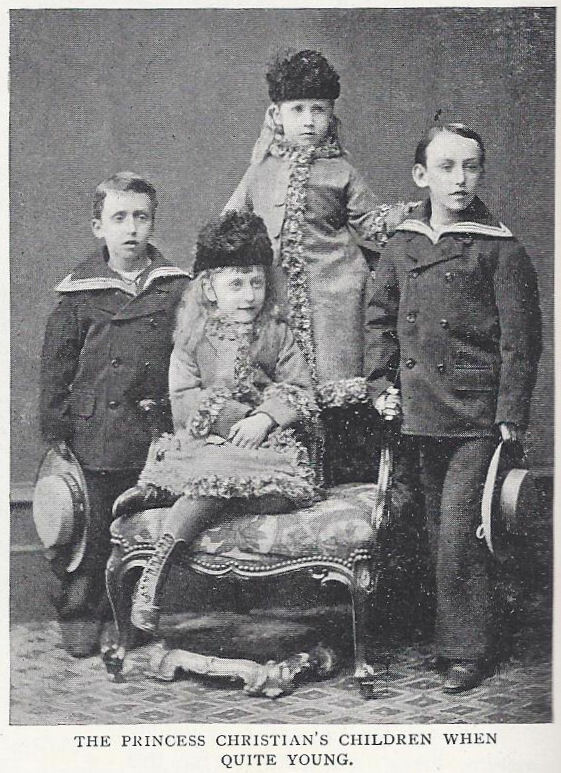 I find Helena Victoria and Marie Louise the most interesting and colorful figures among Princess Helena’s children. Helena Victoria, who would remain unmarried throughout her life, was a loyal companion to her mother and secretary to Queen Victoria. Marie Louise, meanwhile, endured a tough marital storm that caused her to return to England where she spent the remainder of her life.